Enabling a Digital Life...: Win a Baby! There are events which are spaced in time and place, but when overlaid on each other, they present unique perspectives. One such event was the recent release of the movie Vicky Donor…dealing with the taboo subject of sperm donation but overall has earned good reviews from trade/critics. 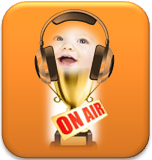 Another was the “Win a Baby Contest” run by HOT 89.9 FM, a Canadian radio station in Ottawa. The station ran this contest in the fall of 2011 wherein five couples were chosen by the station to receive up to three fertility treatments valued at $35,000. On Thursday March 29, 2012, one of the five couples announced that the treatment they received courtesy the radio station has resulted in a pregnancy. The campaign won the station “Radio Promotion of the Year” at the Canadian Music Week. It’s not that this campaign from 89.9 FM did not get its share of controversy or rebuttal. “Pain is personal and having to expose that in order to have a chance of getting a treatment … is a sad state of affairs” - Beverly Hanck, Infertility Awareness Association of Canada. When producers are leaving no stone unturned to promote their movies, do you think a similar campaign for the promotion of the movie Vicky Donor would have been a good idea? I don’t have an objective answer to this question, do you have one? Imagine TV Will Be Missed…!